Getting published is a monumental milestone in every researcher’s career, and every publishing journey begins with some very important questions. How do you translate your results into something meaningful? How do you choose the right journal? 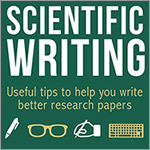 How do you make sure your paper has impact? And perhaps most crucially, how do you make sure your paper doesn’t end up on the rejection pile? If you need support with your own academic writing career or if you are an experienced and published researcher or an editor, librarian or policymaker who would like to mentor early-career researchers, we encourage you to join AuthorAID and help increase the reach and impact of developing-country research. These questions face researchers everywhere, but some researchers receive more support than others to tackle them. Many are fortunate enough to have a writing skills course at their institution, or to have a supervisor or mentor to guide them through the publication process. In many lower- and middle-income countries, however, a lack of resources coupled with overcrowding and understaffing means that this vital assistance isn’t available, and researchers struggle to publish and communicate their work. To help researchers in those countries find the kind of support they need, AuthorAID at INASP has developed an online mentoring system. This pairs experienced and carefully selected mentors with researchers to support them at any stage of their writing project. Mentoring relationships can be short- or long-term, and mentors and mentees have the option of signing a mentoring agreement to set out clear objectives for both parties. Although many AuthorAID mentors are senior researchers with years of experience and long lists of publications behind them, a growing number are postdocs or researchers who have successfully published two or three papers in high-quality journals and are keen to share their new-found knowledge with others. 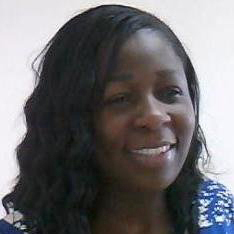 Rhoune Ochako, Senior Manager of Research for Population Services International in Nairobi, Kenya, met her mentor — a PhD student at the University of Michigan — through the AuthorAID website in 2010. “She has been very dedicated in offering me guidance on how to improve my writing skills,” Ochako wrote. In 2011, she was the lead author of three papers in peer-reviewed journals. These papers are now being widely cited by other researchers. In her current position, Ochako provides technical lead to country-wide studies. 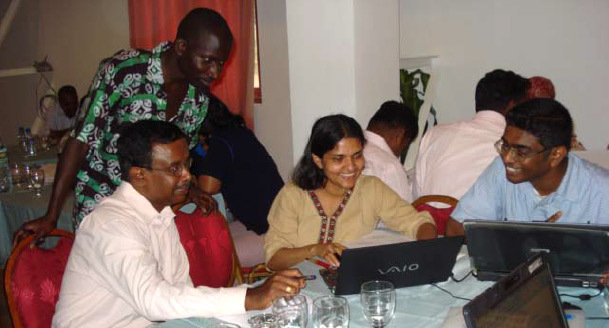 And she gives informal mentoring to other researchers through the AuthorAID discussion list. 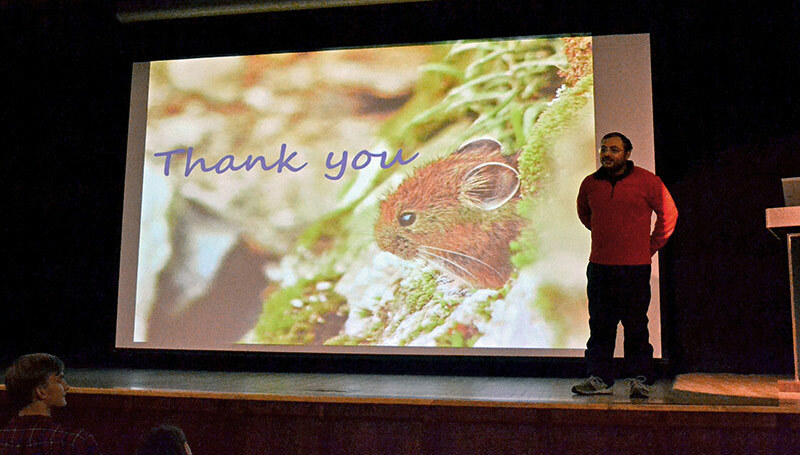 "My advice to young researchers is that there is help out there. Go look for it; it will not come knocking on your door." Editors, librarians and non-governmental organization (NGO) officials also volunteer to share their expertise and to broaden their understanding of the research being carried out in other countries. They have a vital role to play in supporting researchers to format their work appropriately, to conduct literature searches and to ensure vital research is read by policy makers to inform development. Although many mentors use AuthorAID’s formal mentoring system, an increasing number also provide informal mentoring by replying to questions about publishing on the AuthorAID Discussion List. It is a very friendly forum where inexperienced researchers feel comfortable in asking others for support and advice. Authorship, influencing policy makers, publishing in suspect journals and writing grant proposals are just some of the recent topics that have been discussed by its members, now numbering over 1,500. An increasing number of researchers are also coming to the AuthorAID website to look for writing skills training and resources. Initially, this support came through face-to-face training workshops and the AuthorAID resource library, but we soon realised that we were only reaching a small number of researchers in that way and that online courses would have a greater reach. The online courses are interactive and moderated, with peer-review exercises and discussion forums. All course completers receive a certificate, and researchers who show the most improvement on pre- and post-assessment exercises receive free editing from Research Square. Face-to-face writing skills training is still an important component of the project, but we now work with our partners to embed this training in the curricula or continuing professional development (CPD) of the institutions and organizations we work with to ensure it is sustainable and reaches as many researchers as possible. Muhimbili University of Health and Allied Sciences in Tanzania is one such university, offering four CPD points to researchers who take a writing skills course. Researchers can also go to the AuthorAID website to find potential collaboration partners, to read the blogand get writing tips, to search the multilingual resource library, and to find information on the travel and workshop grants that AuthorAID offers twice a year. 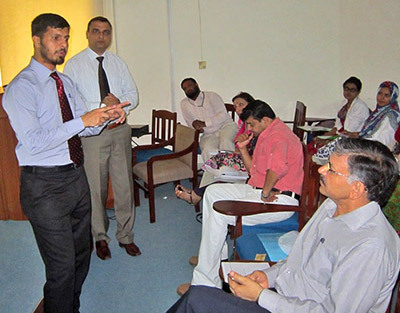 One researcher who benefitted from the AuthorAID resources was Dr. Farooq Rathore,Consultant and Assistant Professor at the CMH Lahore Medical College and Institute of Dentistry in Pakistan. One of the biggest challenges a young researcher from a developing country faces is how to find a good mentor who can guide him or her in the right direction, helping them to realise their potential. While I was unable to find such a mentor in my home country, Pakistan, I was lucky to find a virtual mentor: AuthorAID. 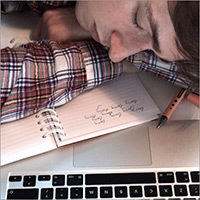 The best thing about AuthorAID as a virtual mentor is its 24/7 availability. It offers a wealth of resources and knowledge that are hard to find elsewhere. In addition it offers opportunities for broader networking with likeminded colleagues and peers all around the globe. Publishing my first case report was an unforgettable learning experience and I continue to regularly use the AuthorAID website and community to learn about the art and science of medical writing. Dr. Matt Hodgkinson, Senior Editor at PLOS ONE in the UK, talks about the AuthorAID program and his approach to mentoring. INASP is an international-development charity that supports the access, production and use of research knowledge in developing countries. INASP was previously called the International Network for the Availability of Scientific Publications, reflecting the organization’s initial core focus on information access. 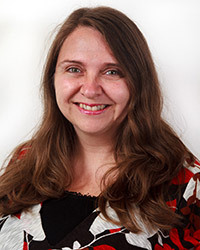 Julie Walker is the AuthorAID Director and INASP’s Programme Manager for AuthorAID. Before this, she worked in publishing for eight years, managing journals and commissioning books in the social sciences. She has lived and worked in Africa and Asia. Julie joined INASP in 2007. 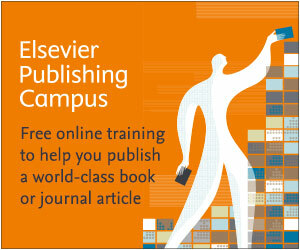 The Elsevier Publishing Campus is a free online platform that provides lectures, interactive training and professional advice on a wide range of topics, from the fundamentals of publishing to broader issues like gender in research and open science. Researchers can register for training courses, learn from leaders in research and publishing, and take part in topical debates. For every module or seminar completed, researchers are recognized for their efforts with an awarded certificate from Elsevier.